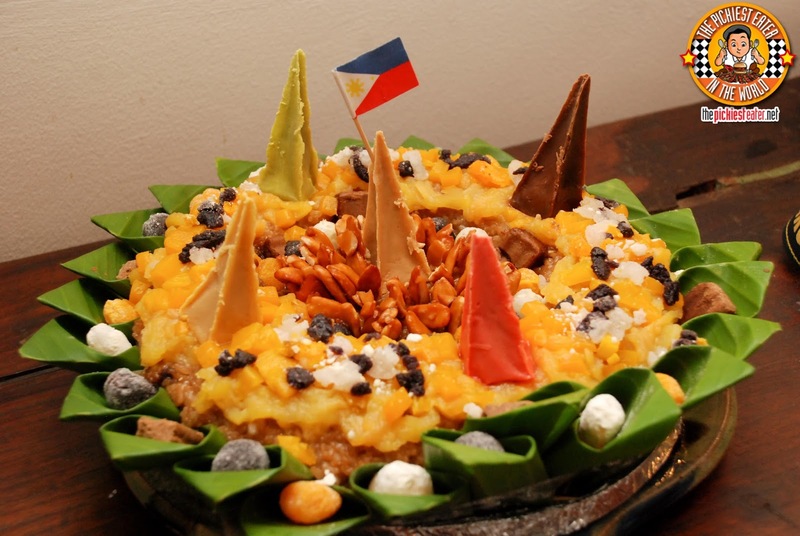 The Feasts of the Filipino Kitchen , serving both lunch and dinner! 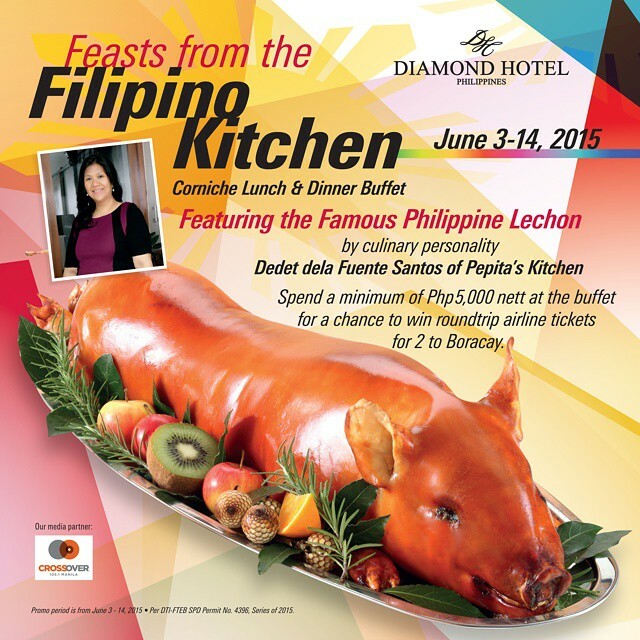 The Feasts of The Filipino Kitchen began last June 3, and will run until June 14, 2015 at Corniche. The spread is reasonably priced at P2,150++ for lunch and P2,250++ for dinner. Corniche is also offering guests who spend a minimum of P5,000 a chance to win tickets for two to the beautiful island of Boracay! Here's a mere glimpse of some of the fine dishes that you'll enjoy at Corniche! 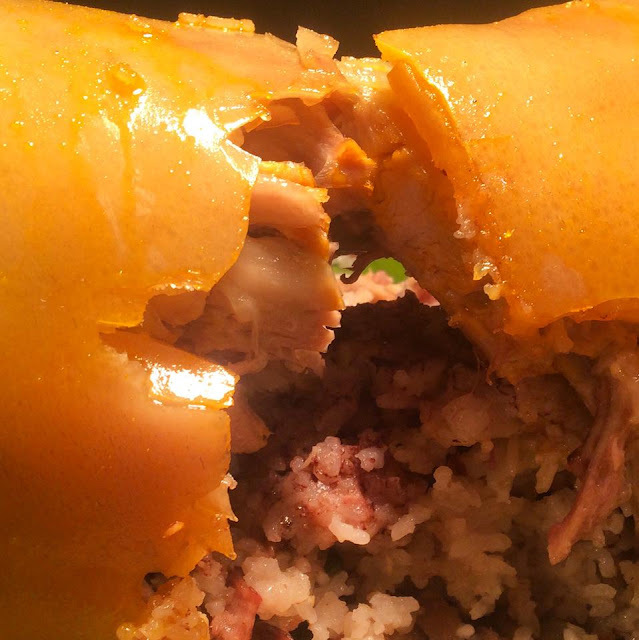 Chef Marko gets in on the lechon action, by doing a German take on the Pinoy Classic dish. 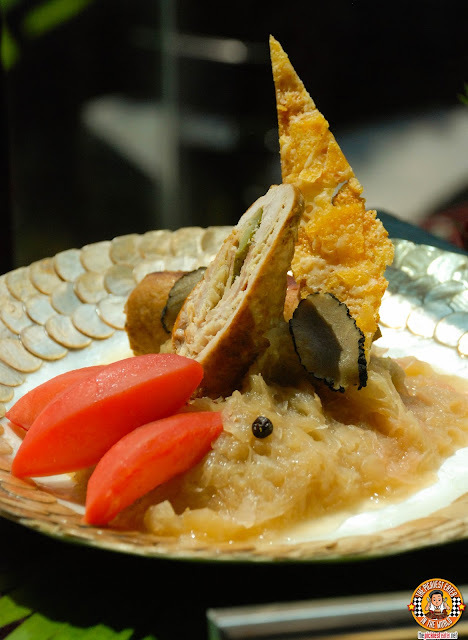 Chef Marko created a Lechon Roulade, wherein he rolls tenderloin Lechon meat with Sauerkraut, Pickled Cucumbers in his special Morel Sauce, then served with Red Beet Potatoes and Black Truffle. 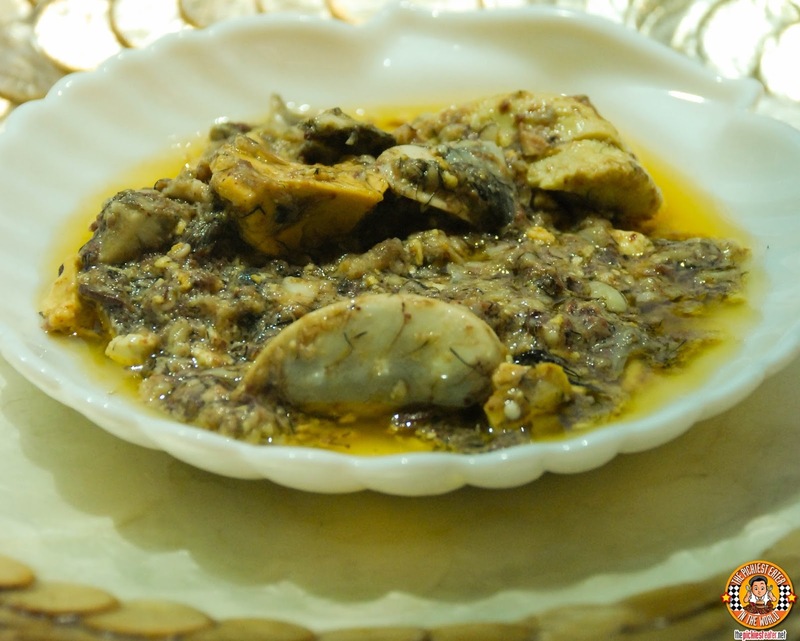 I immediately recognized the Balot Salpicao that was served during the first Degustation I had ever attended. Being the Pickiest Eater In The World, I think it goes without saying that I don't eat Duck egg, even when it's sauteed in garlic and olive oil, but I must admit that it was a hit with the other diners. 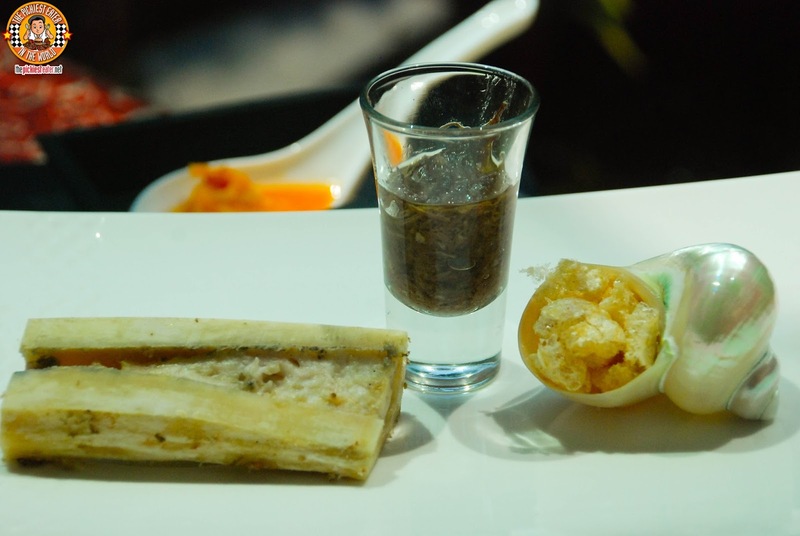 The Bone Marrow Surprise that we had during the "Hayop Na Degustation" Dinner was also on display. A gorgeously roasted Bone Marrow, served with Chicharon and a Ox Tail Marmalade as a condiment, makes this easily the most sinful dish in the lineup, but arguably the tastiest as well. Also on display was what looked like the big brother of the Sipit Sarap we had during "Hayop na Degustation" dinner. 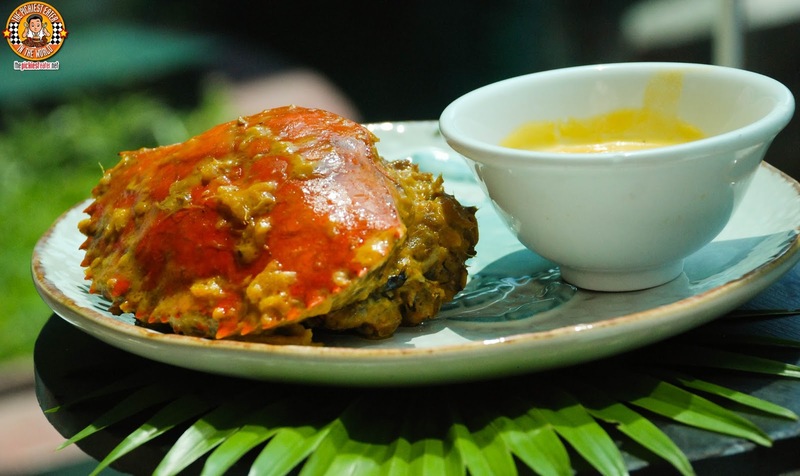 which is now a large piece of crab, doused in crab fat. Naturally, the star of the show were the Pepita's Stuffed Lechons. 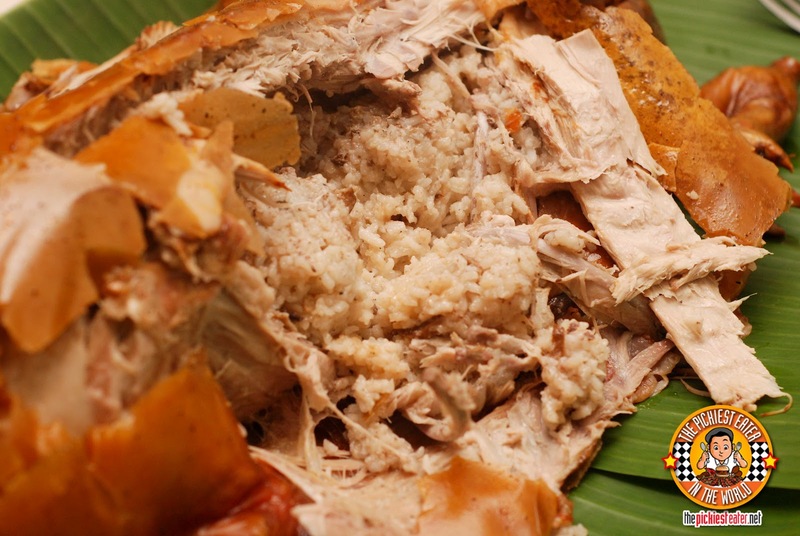 Guests were enthralled with the Lechon Stuffed with Sisig Rice, which happened to be among my favorites as well. The beautiful touches of heat from the birds eye chili adds a wonderful element to the already flavorful meat of the roasted pig. 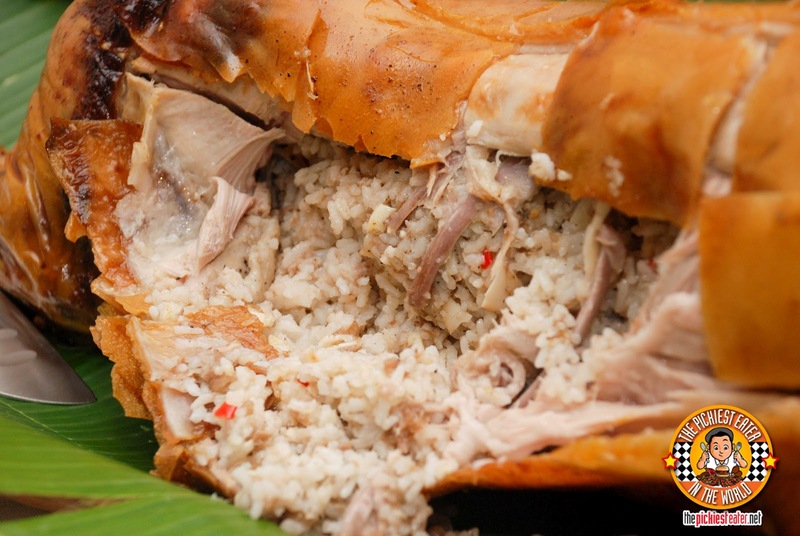 The Lechon stuffed with Truffle Rice also proved to be a smash hit as well! Who would have thought that the fragrance of truffle would work so wonderfully with the flavors of pork meat. 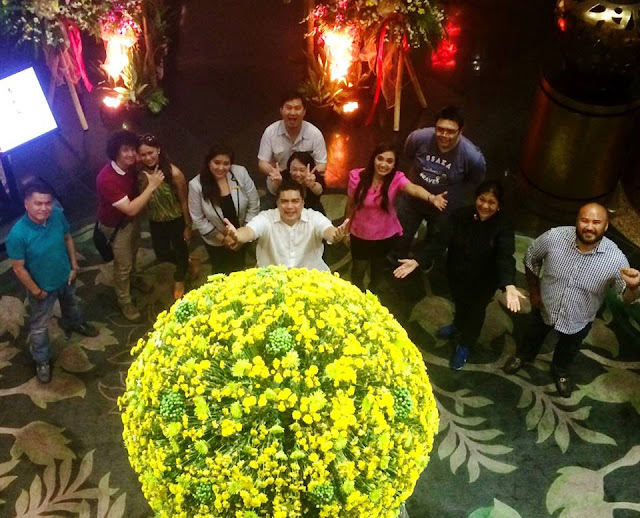 Make no mistake about it: Corniche has one of- if not THE BEST dessert spreads of all the hotel restaurant buffets in Metro Manila, and Dedet's Super Suman and Mango Trifle only adds to that impressive lineup. Dedet Dela Fuente is truly a culinary force to be reckoned with, and kudos to Diamond Hotel for recognizing the talents of this phenomenal woman who has been an integral part in putting the world on notice: That Filipino cuisine is the next big thing. Thank you Melanie and Chel for the wonderful meal! 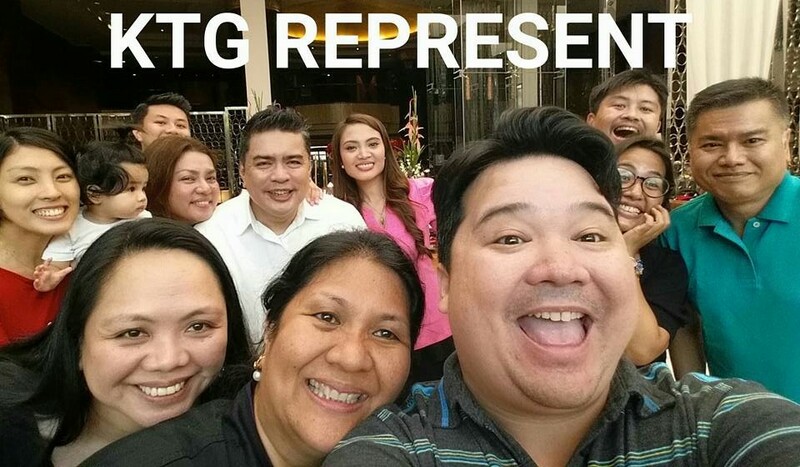 And to our beloved Dedet, Curly Pepita and Little Pepita..
We at KTG are so proud of you! Like Diamond Hotel Philippines on Facebook! Roxas Blvd. Cor. Dr. J. Quintos St.